Useful for a wide variety of applications including grooves, dados, joint making, and general purpose stock removal. CNC bits are designed for use in the more severe applications of CNC routing. 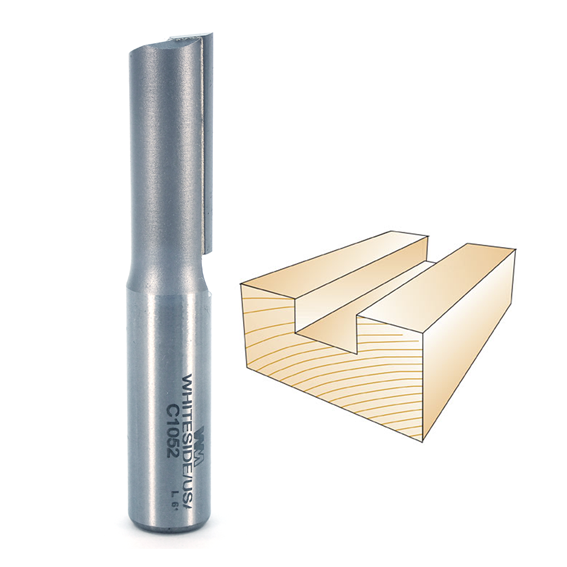 They offer superior performance over standard straight flute bits at the high feed rates commonly found on CNC routers. They also provide a more economical alternative to the more expensive spiral bits. Carbide tipped and single fluted. Whiteside Machine Company - Claremont, North Carolina.